What does preservation have to do with Amazon? Well, one is sometimes a government/city promoted and regulated attempt to preserve culture, practices and memories. For example, landmark preservation may be bestowed on a building and limit exterior changes to a building—like a famous old bookstore. Amazon, on the other hand, is emblematic of the opposite: it’s not about maintaining cultural norms like community or cultural centers. It often undermines cultural and civic locations by using Wall St.-backed money to artificially lower prices and swipe customers and economic output. End result: dead shopping streets across America. So why would a city (or government) that endorses cultural preservation give the cultural destroyer a $3 billion tax break? 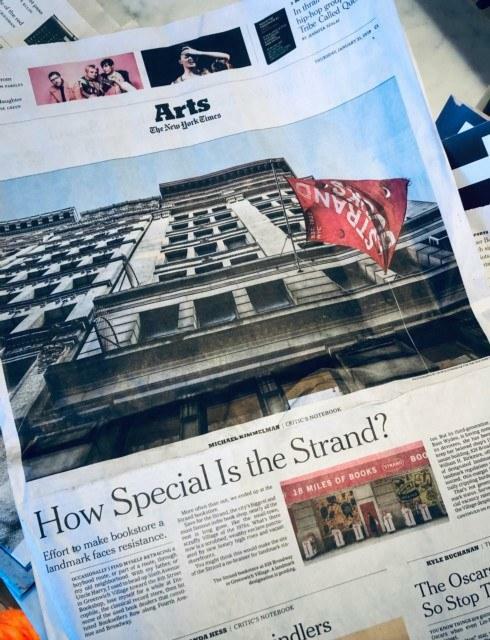 That’s what the Times starts to ask today by contrasting the preservation guidelines put on The Strand bookstore against the $3b corporate welfare handout New York’s government gave to Amazon. The city acts like a pacifist that sponsors the terrorist arm of Hezbollah. If it’s really about saving the culture of the city, why invite the devil into its home—and give it free food and lodging? Amazon has already put thousands of small bookstores out of businesses. Maybe instead of giving Amazon money we should be doing something for the small businesses out there that are the building blocks of our communities. The best way to preserve NYC and America’s towns and cities is not likely via fueling the Amazon bulldozer.